Headaches can come from a head injury, but they can also be the result of injury or tension in the back, spine, neck or shoulders. Your Rye chiropractor will diagnose the source of your headaches and determine the best course of action to bring relief. Sciatica is a condition of the sciatic nerve. 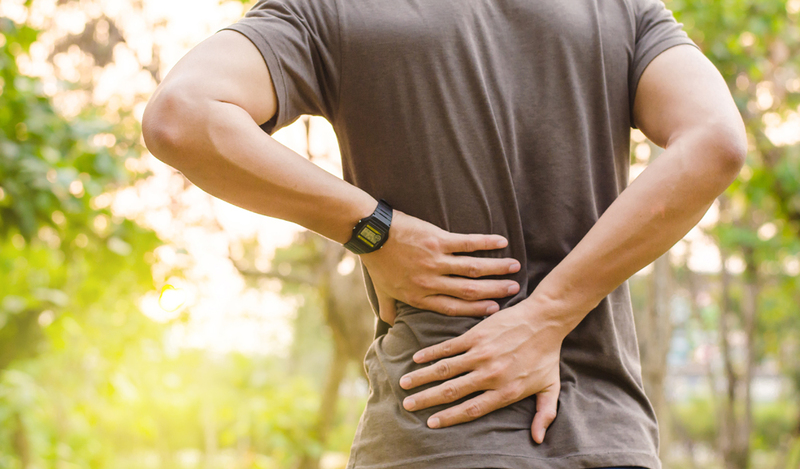 When it is compressed or injured, this can result in pain in the lower back that radiates down the buttock and hamstring area of one leg. It can be extremely painful and debilitating, but expert treatment is available. Shoulder pain in the form a rotator cuff injury, sports injury, work incident or other overuse injuries can dramatically reduce your quality of life. Fortunately, Dr. Askinasi is experienced in treating joint injuries and can have you on the road to healing in no time. Sleep apnea is a very serious condition that involves the interruption of breathing patterns during sleep. It often involves not breathing numerous times throughout the night. This can result in oxygen deprivation for the brain and body. Dr. Askinasi can find the source of your sleep apnea and develop an effective treatment plan. Issues of the temporomandibular joint of the jaw can be very painful. TMJ can result in popping, cracking, stiffness and discomfort. Major causes include physical and emotional tension. Your Rye chiropractor will assist you in getting lasting relief from TMJ. General life stress can lead to a range of health problems. It is the number one cause of disease, and as such, it should be taken seriously. Your chiropractor in Rye can assist you in treating the effects of stress as well as offer advice for managing stress levels. Our Rye chiropractor, Dr. Joseph K. Askinasi is your source for non-invasive holistic healing and chiropractic care in Manhattan. He uses a range of approaches that complement one another to treat back pain, headaches, sciatica, shoulder pain, sleep apnea, and TMJ among numerous other conditions. Visit one of our New York offices today to schedule an appointment.